often feel they cannot bring forth the strength to do so. wresting free of the crushing pressures of modern life. dogs can help break down social barriers. We quest the off-leash beach not only to satisfy our individual dogs’ need for intra-species interaction, but to share their boundary-less sociability: to be used as a “pick-me-up” for other dogs (and their guardians) who may be in-need. In this way, we exchange capacity for unprejudiced acceptance and play as a healing tonic of communal kindness for one another to consume freely. The off-leash beach offers just as many benefits to humans as they do to dogs: both to dog guardians as well as the wider community. Parks of any type hold an important role in the socialization of a city; off-leash beach areas expand communication channels across its citizenry. Studies have shown that people often find it easier to talk to each other with dogs as the initial focus, breaching the usual social barriers that typically might make them perceive others as “strangers.” Shirking our well-honed inhibitions, it is likely that we may be more social than society trains us to be, particularly in a competitive, nationally regarded sub-urban environment like Fairfield County. Dogs act as a social “ice breaker” and help people strike up friendly conversations with our dogs as a neutral topic: quickly pushing aside hesitancy, judgment or skepticism we might often have toward a complete stranger. Off-leash beach users also benefit from the impromptu opportunity to ask questions of other guardians and discuss solutions to problems they might be experiencing with their dogs. satisfy their cravings for canine play and companionship. The off-leash beach provides a place for under-exercised dogs and their guardians to workout and socialize safely, preventing them from endangering themselves and others (for example, out of the path of vehicular traffic), and proffers a valuable framework to develop better canine citizens. Experts agree that dogs need to “run” (simply: run) and recreate with their families in order to expel pent-up energy, and fulfill their urgency for stimulation and challenge. The normal physiological behavior for the canine species— roaming the countryside for miles per day— isn't typically possible in Fairfield County, and substitute behaviors like off-leash romps stimulate their “play” and “seeking” emotions. 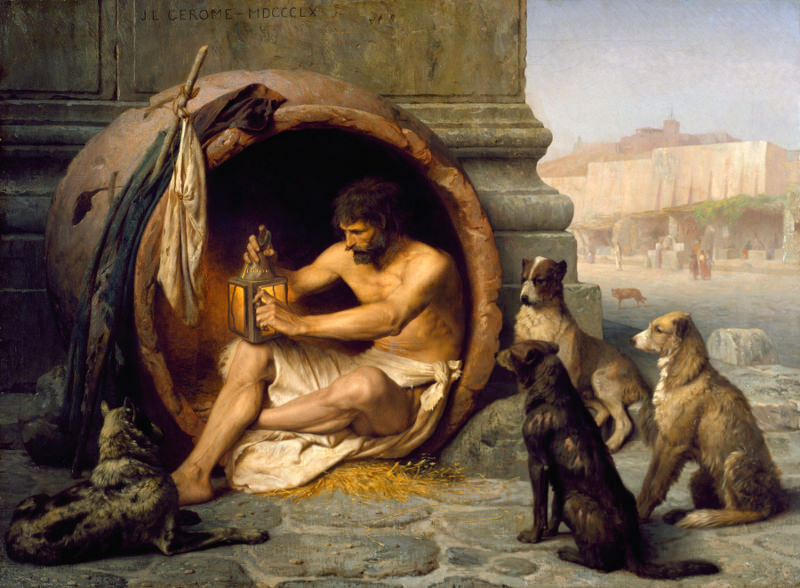 Dogs deprived of exercise, stimulus and socialization can become problems for their guardians and the community because they are bored, and may cope through incessant barking, digging holes, destroying property, and constantly escaping. This materializes quickly for so-called “working” breeds that lack occupying stimulus. Often, they may develop timid or aggressive behaviors and become generally difficult to handle: in extreme circumstances, exasperated guardians surrender these dogs to shelters. There, even further confined (often for weeks or months), the dog may become “reactive” to visitors— and appearing persistently over-excited— doesn't “show well.” This can create an un-defeatable cycle, and, failing to adapt to the shelter environment and remaining “un-adoptable,” the unfortunate animal may be euthanized. To learn positive behavior, dogs need to be extracted from the often painful isolation of their backyards into social situations: the setting of the off-leash beach provides this rare and cherished opportunity to become acquainted with the world-at-large, and to build civic skills. (in which they normally circle each other, gathering information) leashed dogs may abruptly trigger the “flight or fight”" instinct: the opposite of what is desired or expected by leashing. Flicka & Truffie: leading a (good natured) charge! 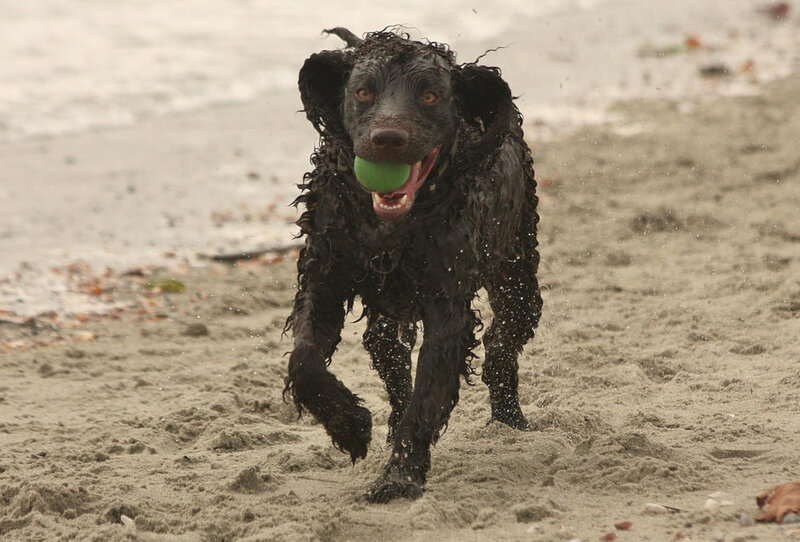 The off-leash beach provides a setting where appropriately older puppies, work week-long “shut-ins,” and behaviorally challenged dogs can come in direct contact with other dogs and people and learn from immediate experience that continually tests their insecurities as unfounded. Much like a shy person whose psychiatrist suggests to “take baby steps" into the social world, building social skills incrementally at the off-leash beach can help them to develop confidence, and be less aggressive—or shy—in each future encounter with dogs and other people. These opportunities for socialization and exercise may subsequently reduce the risks of provoked dog aggression on the street, and well-exercised puppies and dogs are less likely to develop a myriad of behavior problems that create a public nuisance. The off-leash beach becomes society's free clinic, improving the mental heath of dogs and their guardians, whereby guardians leave with an exercised (perhaps exhausted!) dog that is a better neighbor: less agitated, more relaxed and easier to handle; and in general, “nicer” to be around. The mission of the Fairfield Fitness Council, “To promote and enhance healthy lifestyles in the areas of nutrition and physical activity,” is well served by the off-leash beach, which provides opportunity for dog guardians to enjoy the outdoors and contributes to the overall physical fitness of people by encouraging them to exercise with their dogs. Many who speak with us tell that they would naught come outside in winter at all... were it not for their dog’s needs and his affection for the off-leash beach. It presents temporarily injured, elderly or disabled dog guardians unfitted of keeping pace on (leashed) street walking with an accessible area to exercise their companions—who might otherwise go wanting for a workout—while in parallel, offers a place for an older, infirmed or sensory-deprived dog that is not able to cope with pavement or woods a level and safe area to exercise and escape from the grimness of day-to-day isolation at home. For some, perhaps just sitting on a bench and enjoying—albeit wistfully—the “freedom” they may not now actually be able to fully engage, is still rewarding. Our First Selectman has remarked that all but the sparest minority of dog guardians are conscientious and self-supervising so as to maintain the appealing environment of Fairfield beaches. Accommodating dogs and their families in a public open space has been shown to lead them to higher levels of compliance with relevant laws, and is an efficient educational venue for educating dog guardians on the importance of this issue to other constituencies in the community-at-large. On many winter-season days—especially those of inclement weather—dog guardians and their intrepid companions are commonly the sole users of otherwise entirely deserted Fairfield beaches. Were it not for them on these fierce days, Fairfield’s crown jewel goes virtually bare of visitors. Dog guardians and their pets create an atmosphere of safety in our public beaches, and it is fair to conclude that their presence forms a fashion of “Community Watch” that helps to deter crime there and on the surrounding streets. We try to inhale the ones who are leaving. We hurried to put away the things of hers that were now merely things. that I was deeper into the heart of a dark country whose territory was not entirely unknown. you could say that I'd already been tenderized. Molly did this for me. She left me this brute knowledge as a kind of parting gift. a shaker flung by a shaman toward the relentless infinity of sky. The ashes aren’t Molly. Where we go is the one thing we can’t know, but I like to think the spirit moves on. The shrub shakes, as if there’s an isolated earthquake in our garden. Little clods of earth shoot out from behind it, and I can see a blur of light brown fur beyond the green. her white chest flecked with the darker dirt, paws a rhythmic blur. She backs up to assess her work, panting, circles the hole amidst the weeds, and then settles herself into it with unmistakable satisfaction, hind legs tucked beneath her, front legs crossed. dark eyes serene. She smiles at me, and rests her chin on her paws.